Are you interested in starting a senior care business? If so, that’s no surprise to us. As America’s leading senior care franchise, the team at Visiting Angels knows better than anyone just how well positioned senior care franchises are for the coming decades. With our industry facing an unprecedented window of growth, there’s no better time for getting into the senior home care industry. Visiting Angels makes starting a senior home care business easy, giving entrepreneurs the training, support, and winning business model they need to position themselves for year after year of success. But is a Visiting Angels franchise right for you? Read on to find out. Our franchisees rave about the training we provide. When starting a home care business, it’s essential that you know the keys to growing your business and to providing your clients with warm, compassionate care. Visiting Angels franchisees are enrolled in our industry’s most comprehensive preparation and training program. What’s more, our franchisees are given all of the support they need for a thriving business. Our operations directors regularly meet with franchise owners face-to-face and are always available by phone and/or email to answer your questions. At Visiting Angels, we not only train our franchisees in how to build and market their business – we also support franchisees through nationwide marketing and lead-generation efforts. Visiting Angels operates national ad campaigns across print, radio, internet, and TV, including commercials on major networks like Fox News, CNN, MSNBC, and HGTV. These campaigns direct potential clients to our 24/7 lead generation hotline, which then distributes leads to franchise owners across the country. We also give you materials and support – such as local marketing materials and a custom, locally-optimized website – that will help you when starting a senior home care business. 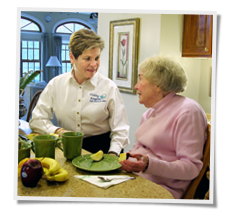 Visiting Angels gives business owners starting a senior home care business everything they need for sustained success. Our support is constant and ongoing, giving our franchise owners the tools they need to thrive. Our results speak for themselves. We’ve been named a top Veteran-Friendly Franchise, consistently place in the top ranks of Entrepreneur Magazine’s Franchise 500, and have been named the #1 senior care franchise in Franchise Business Review’s franchisee satisfaction survey. Thinking about starting a senior home care business? Call us today at 866-718-0434 or fill out an online contact form to take your first step with Visiting Angels.